I had to share this news about a giveaway that I came across. I just love all of the cute things they have in this store. Love it! The Vintage Pearl Definitely a must see store! Go check it out! Finally new items being added! After moving into a new house, remodeling projects, surgery and taking care of kids I have found some time to add some new items to my store. I’ve been dreaming up ideas for these cute little skirts for months and months. I made this one today and I love how it turned out. I have more on the way with different fabrics and different styles. This one is size 3 and sells for $28.50. Right now when you purchase a skirt you get a matching bow for FREE! Don’t forget to become a follower (if you aren’t already) and make a comment to be entered into my giveaway! The winner will be selected on Wednesday so don’t wait! I am having a giveaway to celebrate getting 100 fans on Facebook. To enter this giveaway make sure you are a follower on this blog and a fan on Facebook. Then leave a comment at both places. The more places you are a fan and leave a comment the more opportunities you have to win. What is this giveaway for? A $15.00 store credit and free shipping to be used here or at my Etsy shop. So now go and become a fan if you aren’t already and post a comment. Good luck! This giveaway will close Wednesday March 17th. Please leave your e-mail address with your comment. Brown and Silver Interchangeable Watch Band with watch face $35.00 plus $5.00 shipping. Bands are stretch so you do not have to work with a difficult clasp. The bands are interchangeable to so you can have a different band to coordinate with different outfits. If you are in the area please come and support this great cause and of course have fun shopping. Silver and Black Interchangeable Watch Band with watch face $35.00 plus $5.00 shipping. Bands are stretch so you do not have to work with a difficult clasp. The bands are interchangeable to so you can have a different band to coordinate with different outfits. Silver and Clear Interchangeable Watch Band with watch face $35.00 plus $5.00 shipping. Bands are stretch so you do not have to work with a difficult clasp. The bands are interchangeable to so you can have a different band to coordinate with different outfits. One of my passions is to make jewelry.. I love doing it. It just makes me happy. I started making these fun interchangeable watch bands a few months ago for myself and just recently decided that I would start selling them. If you are interested in these please e-mail me at madibubows@live.com or leave a comment here. I will add more photo’s soon if there is much interest. Thanks so much for looking! My friend Tifany helped me out with my craft fair booth yesterday. She also had on display one of her AWESOME clocks and two of her frames. She makes these from start to finish. She makes the clocks so that they can be personalized to you. I have one and I love love LOVE it! She makes different sizes of clocks but the most popular sizes are the 40” and the 24”. What is your favorite kind of hair clip. Do you have a lot of hair or a little teeny bit of hair? What works best for you? We have different options to choose from. 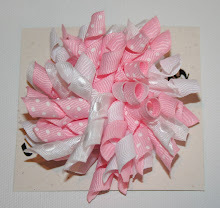 If you would prefer to have a bow attached to a pony tail holder we can do that. We also have French barrettes. Little snap clips work well in fine baby hair. Snap clips work really well in all types of hair. 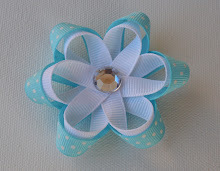 Some of our smaller bows can be attached to Velcro for that extra fine not so much there baby hair. And of course the alligator clips I have different styles of that type too. Some with teeth some without teeth. I attach a non slip grip to the alligator clips without teeth to keep them in your little princesses hair. When ordering please specify which type of clip you prefer. Check back soon for photo’s of these different styles of clips. Thanks for looking!! Here is another bow board with a fun fabric. This board is 12” x 12” and sells for $15.00 Thanks for looking! These are the fabrics that I have for bow boards. Do you follow me on Blogger? Are you a fan on Facebook? Not only are these good ways to keep up with what’s happening at Madibu Bows but coming up are some giveaways and the more places you subscribe to the more chances you have to be entered. Here is another bow board with different fabric. This board is also 12” x 12” and priced at $15.00 Thanks for looking! Love these bow boards! Such a handy and cute way to keep your bows. I have many different fabrics to choose from that I will post soon. This board measures 12” x 12” and sells for $15.00. These little rings are a BIG hit with my little girls. They are made with non tarnish silver wire. They are size adjustable so they can be adjusted for just the perfect fit. This ring would probably start at a size zero and fit up to a size 4. They sell for $15.00. More styles and colors coming soon! Notice these rings are small and not intended for babies that will put them in their mouths. They could be a choking hazard. 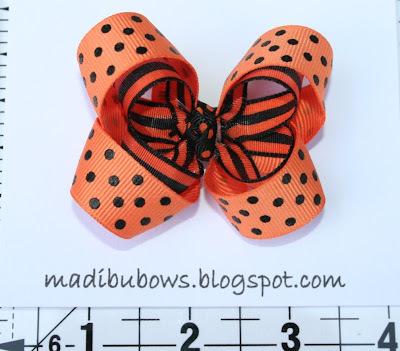 New to Madibu Bows! These bracelets are so fun and the girls just love them. When ordering send wrist measurement. My sister in law is having a really fun open house this Thursday in Vernal, Utah. If you are in the area you should drop by. There will be Scentsy, Signs and Sayings, Jewelry, Alison's Pantry, Pampered Chef, Tastefully Simple and MADIBU BOWS! It will be a ton of fun! I won't be able to be there because I'm all the way in Iowa but my sister in law Katie is going to show my bows off for me. If you are interested please e-mail me at madibubows@live.com for the address or visit my Facebook page. 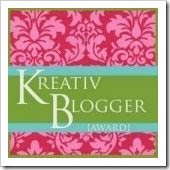 Check out my new blog button! It's on my sidebar. Grab one and put it on your blog or website. It's sparkly! Add my button to your blog! Copy/Paste into a HTML Gadget. 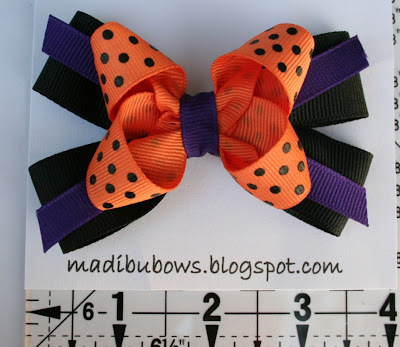 E-mail me at madibubows@live.com with the item # of the bow that you want and the quantity. 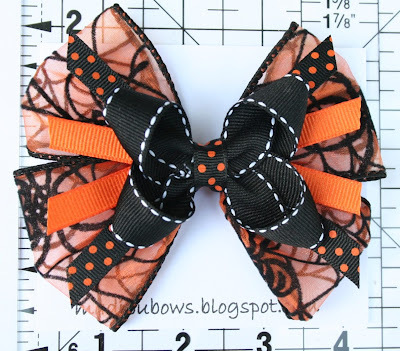 Shipping costs have been $3.00 for up to 7 bows. Shipping for International orders start at $5.00 for 7 bows. 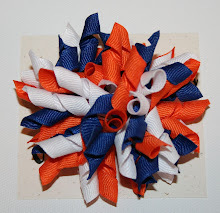 The bows can be made in any color. Just let me know what you would like and I'll make it for you. Once you place your order I will send you an invoice through paypal. 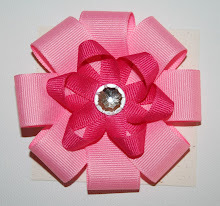 I will start making your bows right away upon receipt of order. Please allow 5 days for shipping.